Eternal Sunday presents yet another debut release. 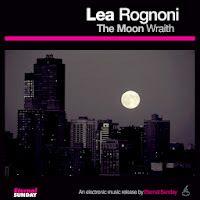 It is The Moon Wraith, by the producer and DJ Lea Rognoni. The Moon Wraith features four tech-house tracks that show his talent for adding spoken and instrumental samples to infectious dance grooves. The Moon Wraith is an exclusive Beatport release. Click HERE to get Lea Rognoni – The Moon Wraith at Beatport. All tracks written and produced by Leandro Rognoni.